Another America’s Test Kitchen recipe this week! 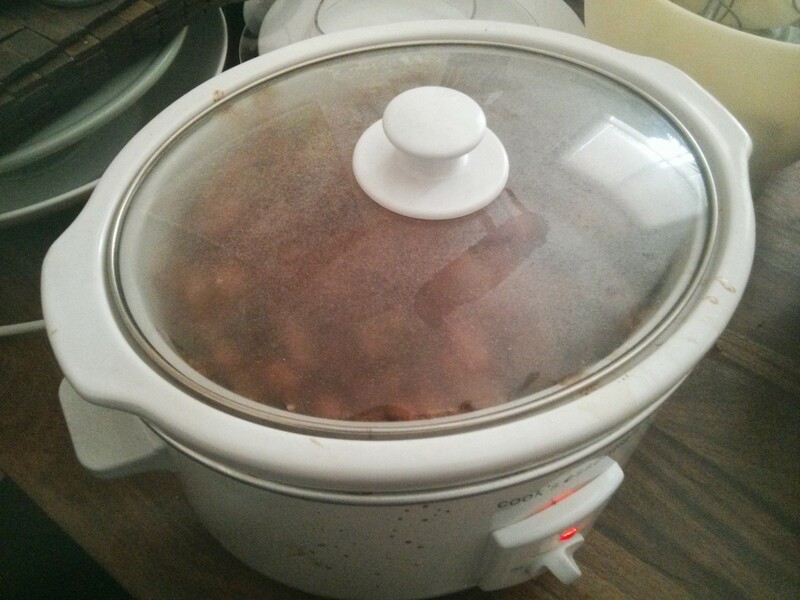 Their slow cooker chilli using big chunks of stewing steak caught my eye some time ago. However like most of their mexican recipes it calls for chipotle chillies in adobo sauce, which we can never find in super markets. However it turns out Amazon does them! So with a can of those to hand, I start cooking! 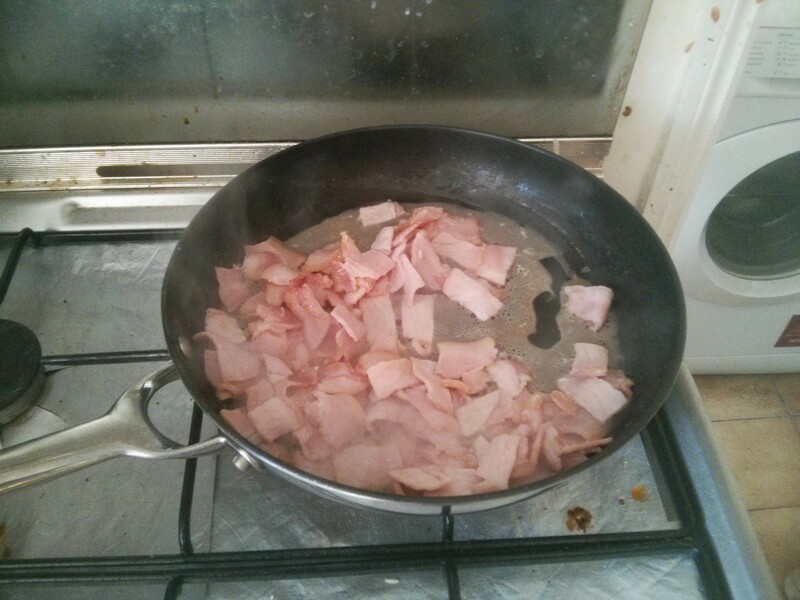 It all starts very sensibly with frying off some bacon. 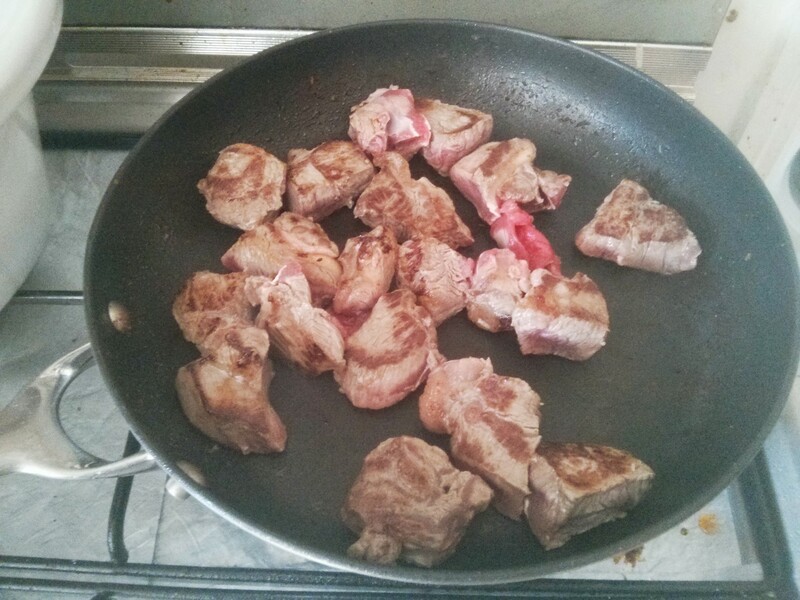 Then the stewing steak gets browned off in the bacon juices. 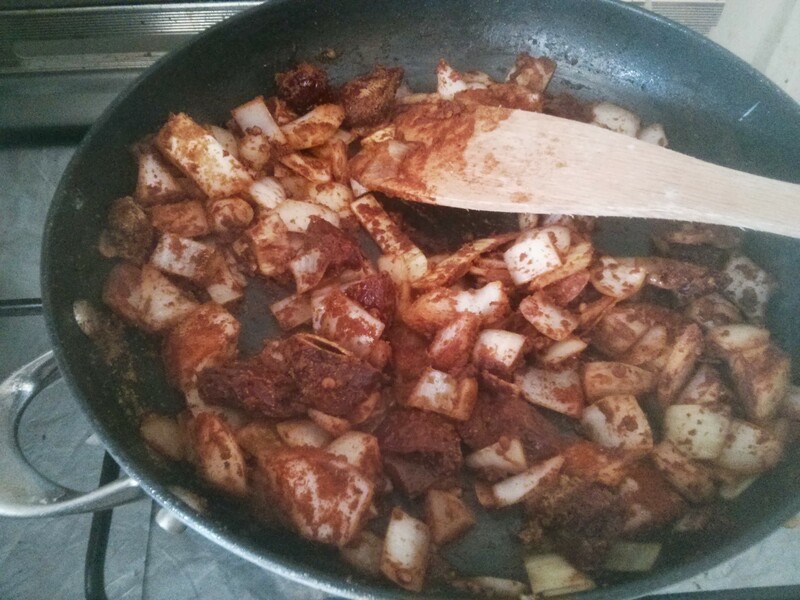 Then the onion and chillies gets fried up in the meat juices, along with garlic, chilli powder and cumin. We then added in a chicken stock pot, took off the heat, and started adding wine, tomatoes and various beans. We also added some PAN harina to add some corn flavour and thicken things up. During one of those hours I made some tortillas to go with it. 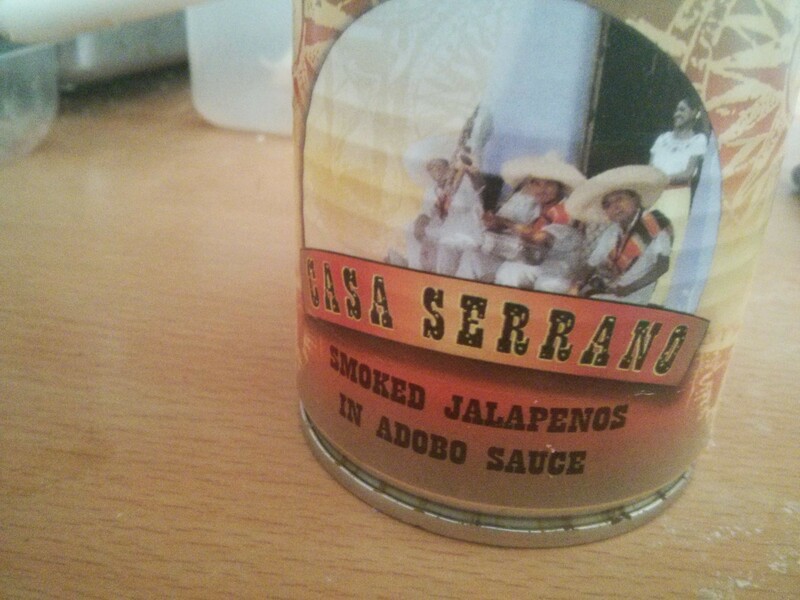 The corn tortillas were nice… but a pain to do without a press. 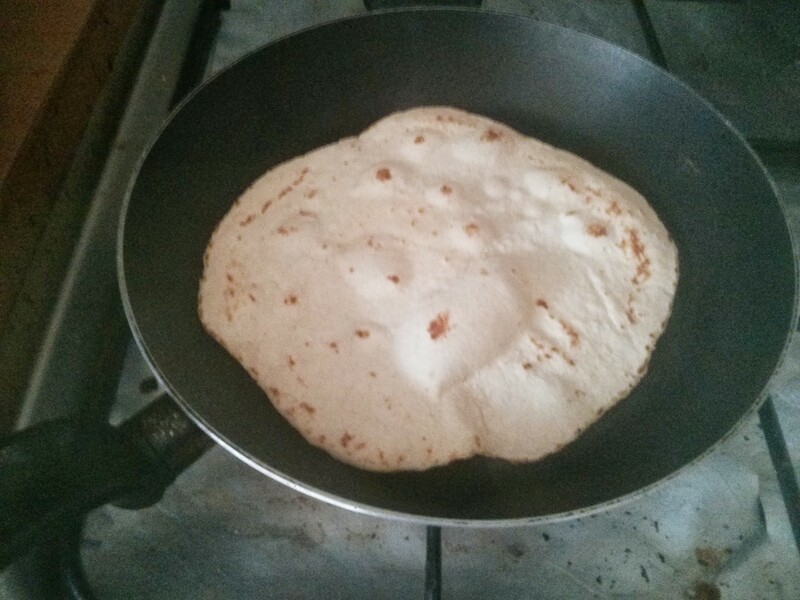 So what I did was wheat tortillas with 50g of the flour replaced with about 75g of PAN harina to give it a corn taste. 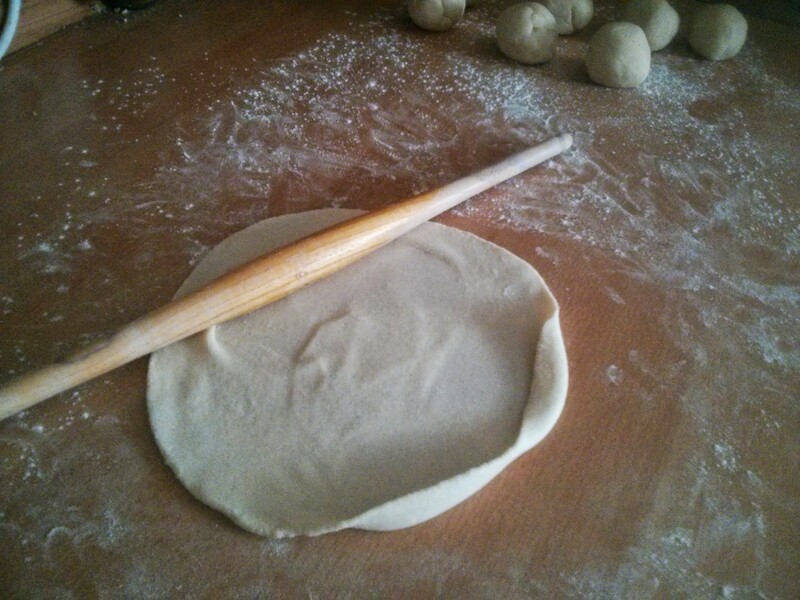 They rolled out much like the plain wheat tortillas, no falling apart like the pure masa harina ones. Then of course the dry heating in a non-stick pan. 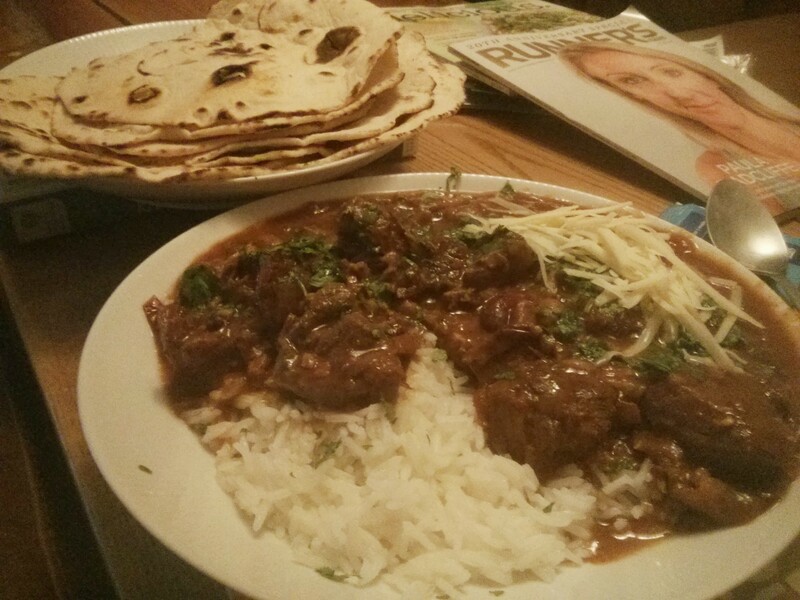 And finally… with some rice, coriander, cheese & lime juice, we eat! And it was damned tasty! 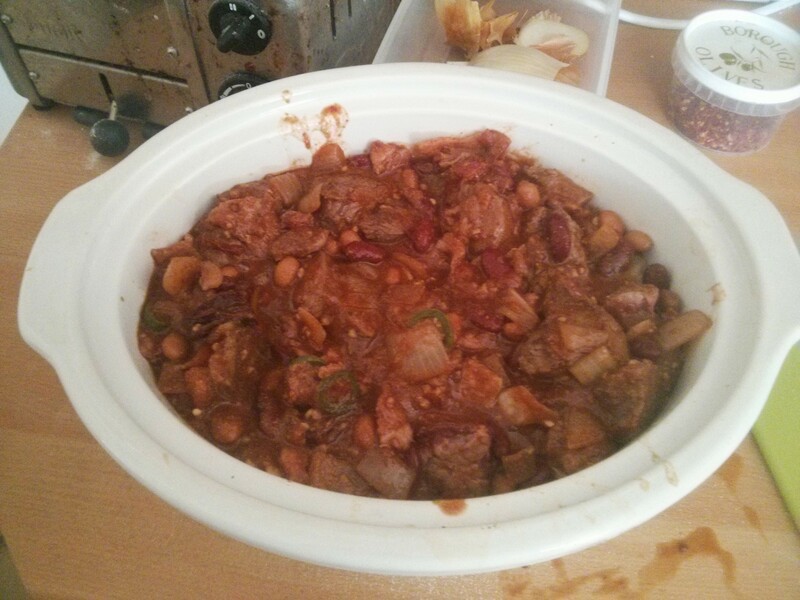 Could have been spicier… but it’s hard to judge with a slow cooker!. Nine hours??? That’s very slow but the results look great. It looks great and I can imagine the taste. ← Rye Sourdough – Marrow Again!